This is a fantastic opportunity to gain valuable experience in how to manage your own studio for 6 weeks this summer, before moving onto University. For many, it will be the first time they have had this unique opportunity – complete freedom to display and explore creativity, ability and imagination in their own space. A chance to experience having an independent workspace away from home. 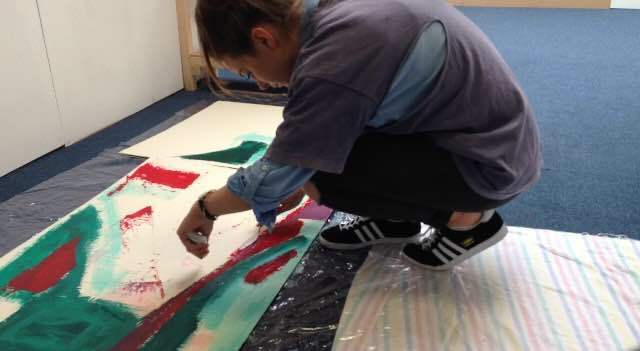 This new initiative will provide two separate Digital Residencies to Swansea College of Art, UWTSD, Art & Design Foundation students this Summer. These residencies will provide an online space within the Jane Phillips Award website to display and develop work, ideas and research, while offering support and promotion through our networks. Residencies will take place online between June – August 2017, with each selected artist having 4 – 6 week slots to complete a proposed project. An opportunity to gain valuable experience in how to manage a studio for 6 weeks before moving onto University; a unique opportunity for the selected artists, allowing them complete freedom to display and explore their creativity, ability and imagination in their own space.